Prestigious Country Home for sale in Piemonte Canelli Langhe Hills (ref: 8106)- Prestigious country house and guest apartment in the most spectacular location with vineyard and mountain views. 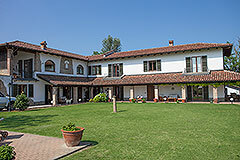 Suitable for private or business use.. Piedmont Properties in Piemonte. Property for sale Langhe and Piemonte. Map for Property ref: 8106, Prestigious Country Home for sale in Piemonte - Prestigious country house and guest apartment in the most spectacular location with vineyard and mountain views.